The Mecosta County Area Chamber of Commerce is a voluntary network dedicated to promoting quality of life through the economic, educational and cultural development of Mecosta County. 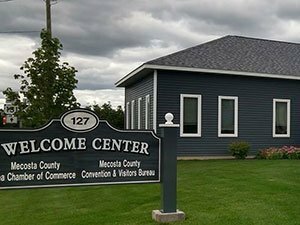 The Mecosta County Area Chamber has been the advocate for business and the county’s communities since 1937. Your Chamber of Commerce is a voluntary partnership of business and professional people working together to build a healthy economy and to improve the quality of life in your community. Your Chambers strength lies in attracting the greatest number of firms into membership, thereby creating a pool of resources from which it can draw ideas, talents, energies, and finances. These resources are combined to solve problems in the Mecosta County area and beyond. The Mecosta County Area Chamber of Commerce enables members of the business and professional community to accomplish collectively what no one of them could or would do individually. It gives them a voice in civic affairs and local and state matters. The Mecosta County Chamber hosts a variety of events throughout the year. We hold networking events, business after-hours and before-hours mixers and business workshops. Key member committees include the Membership Services, Leadership Mecosta, Community Outreach, Legislative and Advocacy, as well as the Ambassador Club.